Nikhil Chand, a 5th grader at Woodland School in Portola Valley, has qualified to compete at the Future Problem Solvers International Competition in the Scenario Writing component. Nikhil took 2nd place in California for his entry, "The Enterprise Incident," which told the story of NASA Captain Harry Crane and how his ability to produce a 3D-printed heat sync minutes before a reported meltdown saves the first mission to Neptune. "Nikhil is an incredibly smart student; he's a great thinker and a talented writer," stated Mackenzie Yaryura, Woodland FPS coach and Stanford graduate student. "Qualifying for internationals is an amazing accomplishment for students who have been competing for years, and Nikhil pulled it off the very first year he entered Scenario Writing. I think it will be an exciting and motivating experience for him." Students within the same division are randomly assigned to a three or four person team. Teams write a spontaneous multi-part scenario based on this year's topic, Biosecurity, which must fit within the Future Scene's parameters – Time (must be set 20 years in the future), Place, and Topic. Each year approximately 2,200 students and coaches attend the FPS International Conference featuring four days of stimulating competitive problem solving, cooperative educational seminars, and social activities. This year's competition will include participants from the following countries: Australia, China, France, India, Indonesia, Israel, Korea, Malaysia, New Zealand, Portugal, Republic of Georgia, Singapore, Thailand, Turkey, United Kingdom, and the United States. The mission of Future Problem Solving Program International (http://www.fpspi. org) is to develop the ability of young people globally to design & promote positive futures through problem solving, critical & creative thinking. In the days leading up to graduation, eighth grade students at Woodland School in Portola Valley, CA will present their findings and solutions on issues of global significance. The evening is the culmination of a yearlong independent research project known as Capstone. Educators in and around the Bay Area are invited to attend. Eighth grade students see their final year of middle school as a pivotal year in their educational career—and life—due to the Capstone project. Designed to be a hallmark of Woodland School, Capstone provides students with the opportunity to immerse themselves in research and action regarding issues of global significance. They step outside their comfort zone and the boundaries of standard curriculum in a yearlong research project, service-learning trip abroad, and action piece. Students flourish as they direct their own learning and realize their potential to be change makers. “In the eighth grade year…it’s [about] realizing you can make a difference no matter how young you may be,” says student Alexa Brown. To complete the project, each student chooses a topic, conducts independent research, interviews experts, produces a paper, presents his or her findings to the community, and launches an action piece to create impact in the area of study. This year’s areas of research have included global warming and climate change, the effect of smog on humans, and domestic violence in India, to name just a few. To complement their Capstone project, students travel abroad to participate in an immersive global service learning trip. Students work alongside local residents to help create sustainable solutions to issues facing the local community. This year students traveled to Ecuador to help construct a school and dig wells. In May of 2016, inspired by their Capstone experience and connection to Ecuador, students also initiated a fundraiser to raise money for victims of the country’s recent devastating earthquake. Instead of the traditional confections one would find in an American school’s bake sale, students opted to create traditional breads and pastries from Central and South America. As eighth-grader Jonathan Hooper stated, “Don’t just use your knowledge to do nothing. Make yourself useful and use your knowledge to help the world.” In order to help the world, students must first step out into it, and through the Capstone year at Woodland School, students are able to do just that. 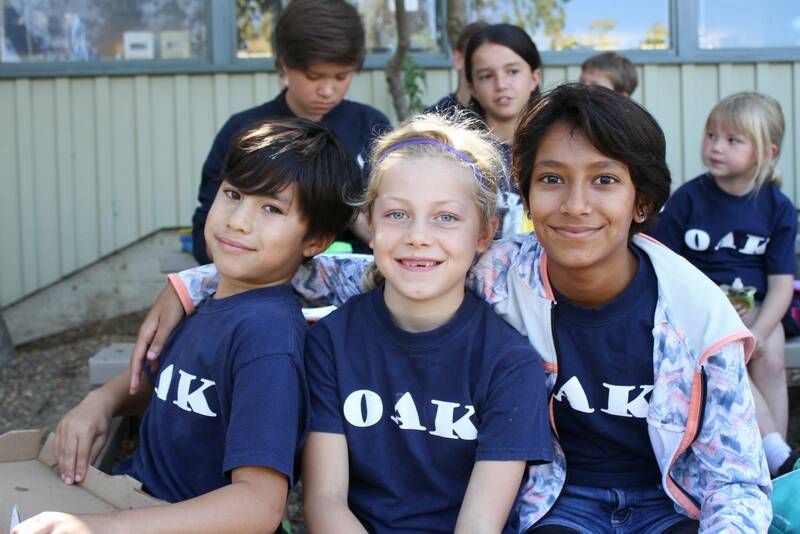 Woodland School is a co-educational, non-denominational, independent day school in Portola Valley, serving over 268 students in early childhood through eighth grade, and their families. The mission of the school is to bring out the best in each child by providing a strong academic foundation and curriculum that fosters personal responsibility and kindness toward others. For more information, please visit the Woodland School website at www.woodland-school.org. After achieving honors for creativity, teamwork and innovation in the Silicon Valley regional and California state academic tournaments, Woodland School’s improv team, S.P.A.N.K.E.D. (an acronym for the team members’ names), has earned the right to compete in Destination Imagination's Global Finals, the world’s largest celebration of student creativity, to be held May 25-28 in Knoxville, Tennessee. Team members include Samik Mathur, Paige Briggs, Alexa Brown, Nate George, Kyle Lespade, Evan DiMarco, Dominic Mattiello, all 8th-grade students atWoodland School. The team managers are parents Debbie and Richard Mattiello. The team appraisers are Nav Mathur and Kevin Brown. They will compete in the improv challenge against other teams from around the world in one of seven, open-ended challenges that require students to apply science, technology, engineering and math (STEM) skills, in addition to their talents in improvisation, theater arts, writing, project management, communication, innovation, teamwork, community service and social entrepreneurship. This year, 150,000 students have participated in tournaments throughout the U.S. and 30 countries in hopes of earning a spot at the Global Finals competition in May. Woodland School’s team S.P.A.N.K.E.D. is among more than 8,000 students representing more than 1,400 teams that will advance to Global Finals, which will be held at the University of Tennessee in Knoxville May 25-28. Each year, DI competitions begin with a regional tournament, where team solutions are assessed by a panel of trained appraisers, ranging from educators to artists to engineers. Each team solution is scored on a variety of elements, including originality, workmanship, presentation and teamwork. Teams with the highest scores advance to the Affiliate (state or country) tournaments. The top-tiered teams from the Affiliate tournaments advance to Global Finals. For more information about Global Finals, visit http://globalfinals.org/. Woodland School (Portola Valley) Destination Imagination teams advance to state championship in Riverside, CA. On Saturday, March 5, three teams from Woodland School in Portola Valley, CA participated in the Silicon Valley regional Destination Imagination tournament. They earned 1st, 2nd and 3rd place, respectively and advance to the State Championships in Riverside, CA on April 2.